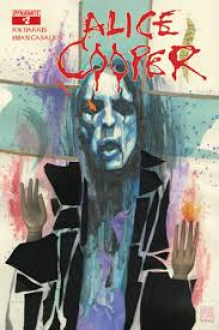 Alice Cooper has escaped the dark clutches of Lucius Black only to find himself in thrall to a new master. But if the "Lord of All Nightmares" hopes to ever control his own destiny and restore his shock n' roll legacy, he'll have to put some more bullies in their place first. Now we're getting somewhere. The story is moving forward in this issue and just as it started to get really interesting it ended, with a cliffhanger...meh!